So I thought it would be fun to do a series of posts on the subject “Did you know?”. I hope you think it is a good idea too. For today’s post I don’t have a card, exactly, to share with you. I actually have a whole lot of cards (and other things) to share instead. Pinterest. Are you a pinner? Do you love it for inspiration? Or recipes? Ok…I’m digressing. Pinterest seems to do that to me. I wanted to make sure that you are aware of all the ways I personally use Pinterest to share my projects. Sometimes it can be overwhelming to go back through someone’s blog to find a specific project and a Pinterest page can really shorten the search! Did you know that I have a Pinterest page where I pin all of my projects? I do! Just click on the blog header below to check it out! All you have to do is scroll through to see what I have made since I started pinning. When you click on the picture, it will take you directly back to the post for more details. Now…did you know that the 2013 Artisan Design Team has a Pinterest page? Oh yes we do! 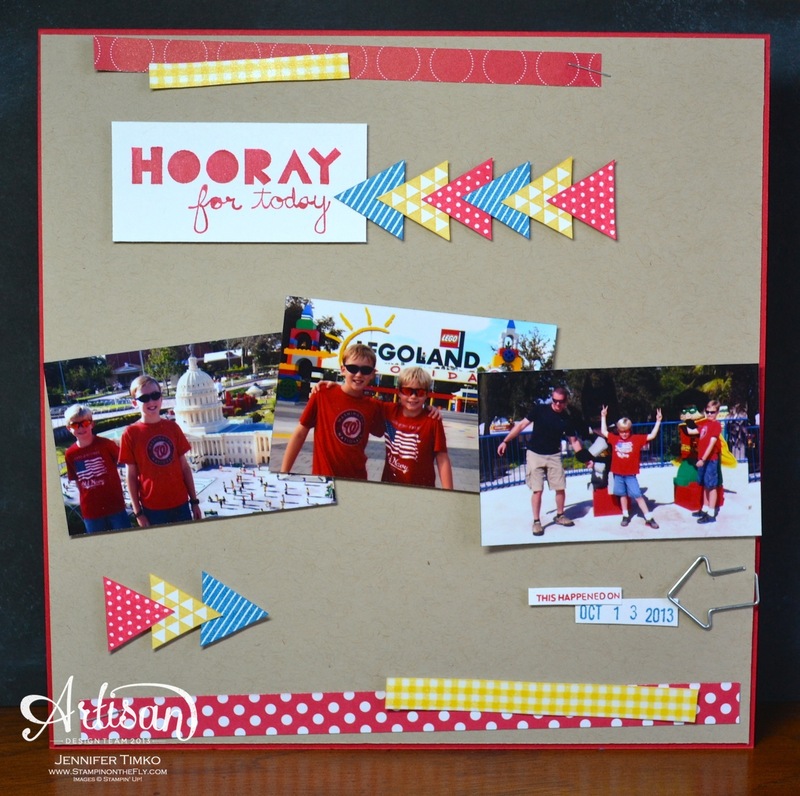 After our Artisan Wednesday Wow posts go up, we each pin our projects there. Again, an easy way to see all that we do and then link directly back to the posts for details. Want to see?? Click on the ticket below (this is also linked in my side bar). When the Artisan team did all of our Leadership projects, we decided that it would be good to have a specific place to pin them. So….we created a new page. Click on the pennant to see. Finally, I’d be remiss if I left out my favorite challenge site Freshly Made Sketches. The design team posts their projects and we also link in the sketches. 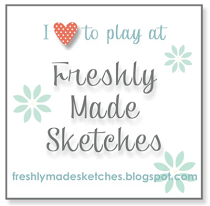 Because the sketches are linked back to the challenge post itself, it is a great way to find lots of inspiration FAST! I hope this doesn’t feel like too much shameless self-promotion, lol. Really I just love sharing with you all and I know that it is easy to get behind on reading blogs. 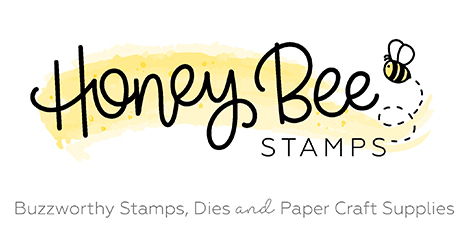 I hope that this makes it easier for you to find my creations and those of the amazing stampers I’m privileged to stamp with on the Artisan Team and the FMS team. Let me know if you found this helpful. I’d love to hear your feedback! If you have any questions that you’d like answered in a future “Did you know?”, be sure to drop me a note. So…I didn’t get as much stamping time as I had hoped yesterday. But maybe just a little more today. I have some more fun things coming up in April so trying to get those ready for you! So glad you stopped in today. I appreciate you sharing part of your day with me! Have a great weekend! So when I saw Banner Blast and the cute matching punch, I knew they had to come to my stamp room right away! I was so happy when I got them to create projects for Leadership. I thought it would be fun to combine the prints in the stamp with the prints in the Gingham Garden DSP (from the main catalog). They seem like a natural combination don’t they? I stamped in the colors from the DSP — Daffodil Delight, Island Indigo and Melon Mambo – and punched out some DSP with the punch too. I lined them all up and put a little Melon Mambo strip on time wrapped with Baker’s Twine. 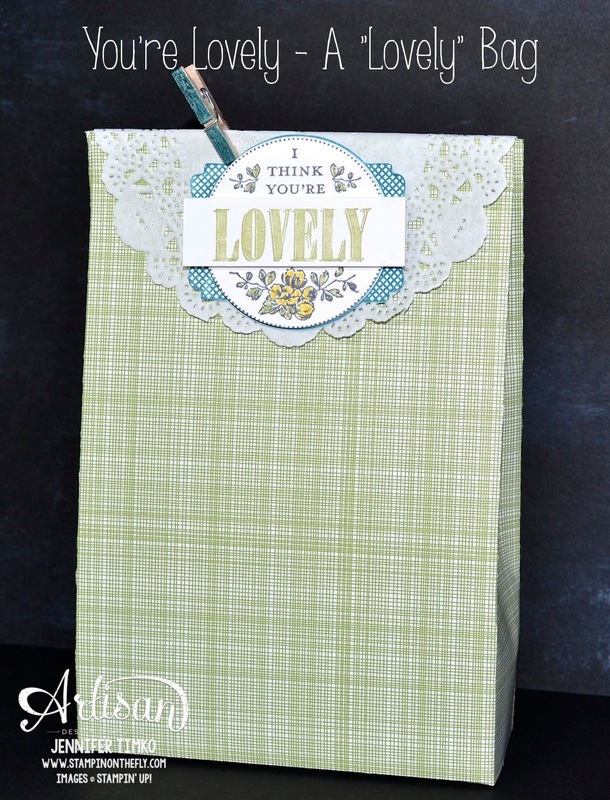 This is perfect for a quick and easy note or thank you! I have been making stuff all week so a bit short on the post. 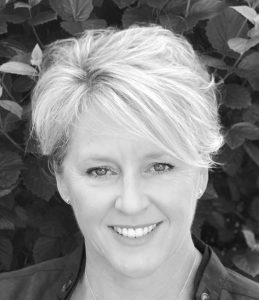 Looking forward to presenting tomorrow at the Northern Virginia Regional Styled Event hosted by the lovely Rose-Ellen Eastman. I’ll be sharing that card with you next week! Hope your weekend is wonderful. Thanks for stopping in today! The rest of the team is showing their Leadership Display Board projects as well so make sure you take a look! I don’t know about you but I love fun bags. 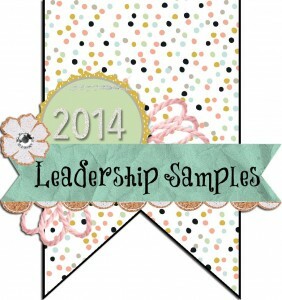 I particularly love them when I can make them out of Stampin’ Up’s amazing designer series papers! My project for today does just that! If you need more specifics, I used this video by Mercedes Weber to assist me so I really recommend you take a look. She did the hard work on the measurements!! To decorate the bag, I stamped the image using a few different colors. First, Island Indigo, then Basic Gray and finally Pear Pizzazz. I hand cut the Island Indigo Layer. I used the 1-3/4″ Circle Punch for the center and colors direct to paper on those images with Pear Pizzazz and So Saffron Markers. Then I cut the “Lovely” out using my Paper Cutter. The Mini Clothespin is from the Tag a Bag Accessory Kit and I just colored the outsides with my Island Indigo Marker. Cute way to make the little pin match, don’t you think? I put a Doily underneath to add some more fun detail. Hope you like this one! Glad you were able to stop in today. I’ll be back on Monday with another project from Leadership! See you then! Just a quick post today to share another card from Leadership. The set You’re Lovely is, well, lovely! What a wonderful choice for Sale-a-bration! I thought I’d make a bit of a shabby chic card for one of the examples. I cut out the oval using the Oval Framelit (Naturals Ivory card stock) and distressed all the edges with the Stampin’ Distress Tool and Crumb Cake ink. I inked the words and some of the images using my Stampin’ Write Markers in Calypso Coral, Pool Party and Wild Wasabi. When you stamp on the Natural Ivory, the image will not be as crisp but that was the look I intended. I added a shabby bow made from the Pool Party Seam Binding and topped it off with a Very Vintage button. I hope to be back tomorrow with a cool bag but it may be Monday if United calls me to fly. Until then, so glad you stopped in!! Kimberly Merritt!! I’ll be contacting you later today! Now back to Leadership Display samples. 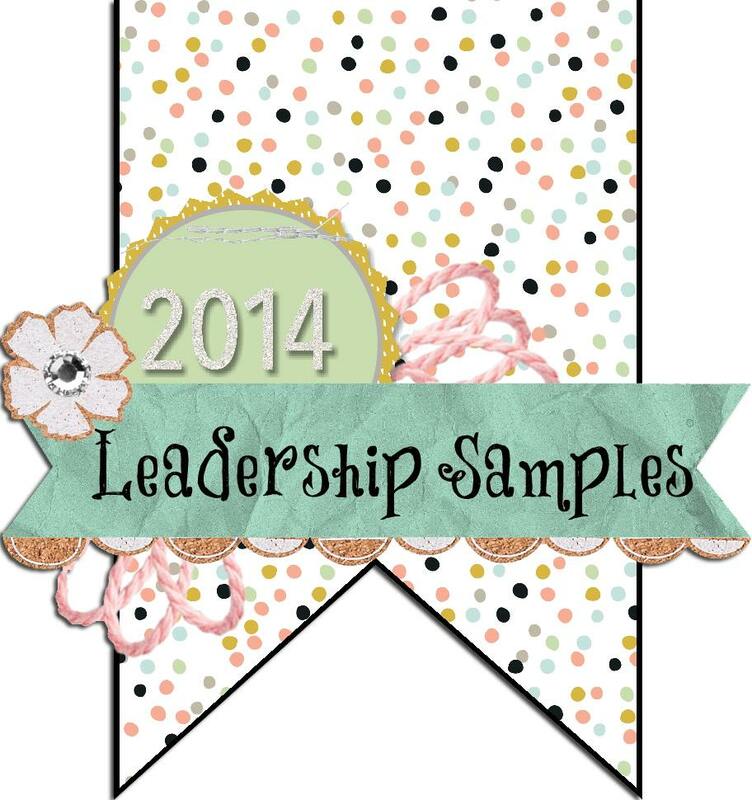 Today’s sample uses the set Perfect Pennants. I played with a color combination that I just love. Midnight Muse, Smoky Slate and Daffodil Delight make a wonderful combination. 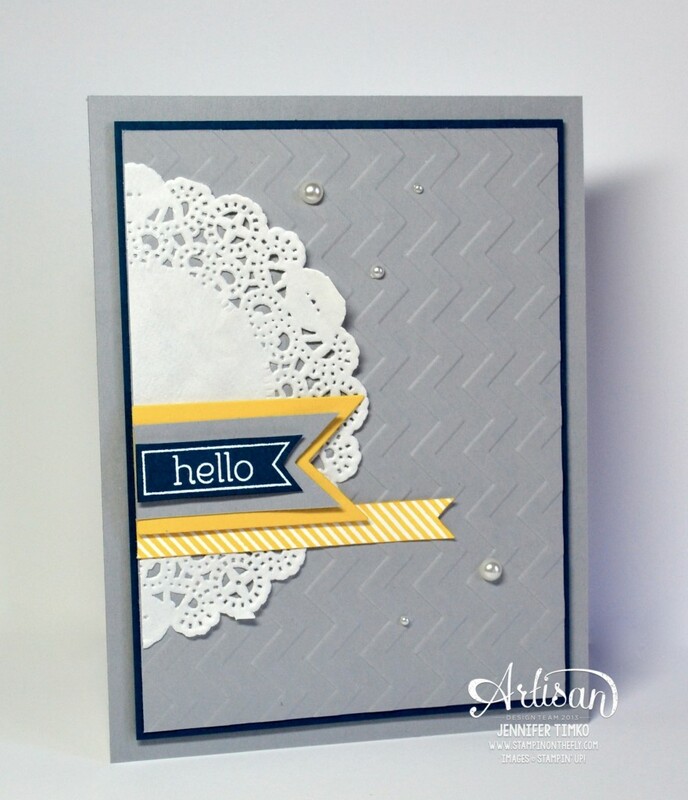 I embossed the Smoky Slate panel with the Chevron Embossing Folder. 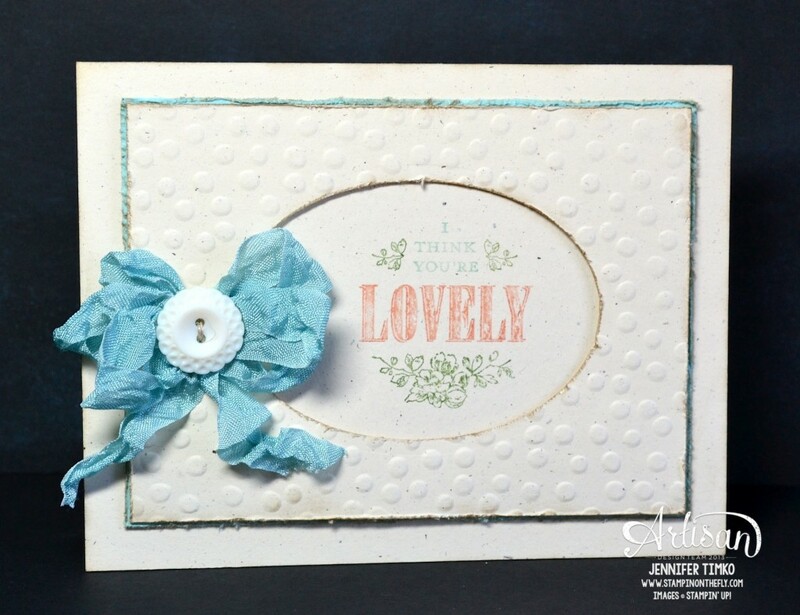 I stamped the hello sentiment stamp in Midnight Muse and the diagonal line stamp win Daffodil Delight. Then I cut them into the banners (this was before the Pennants dies were available). I layered them onto a couple more banners and put that on top of a doily. A few Basic Pearls added for fun. I’ll be back tomorrow with the latest Artisan Wednesday Wow. Hope you’ll stop in to see what we have for you this week. 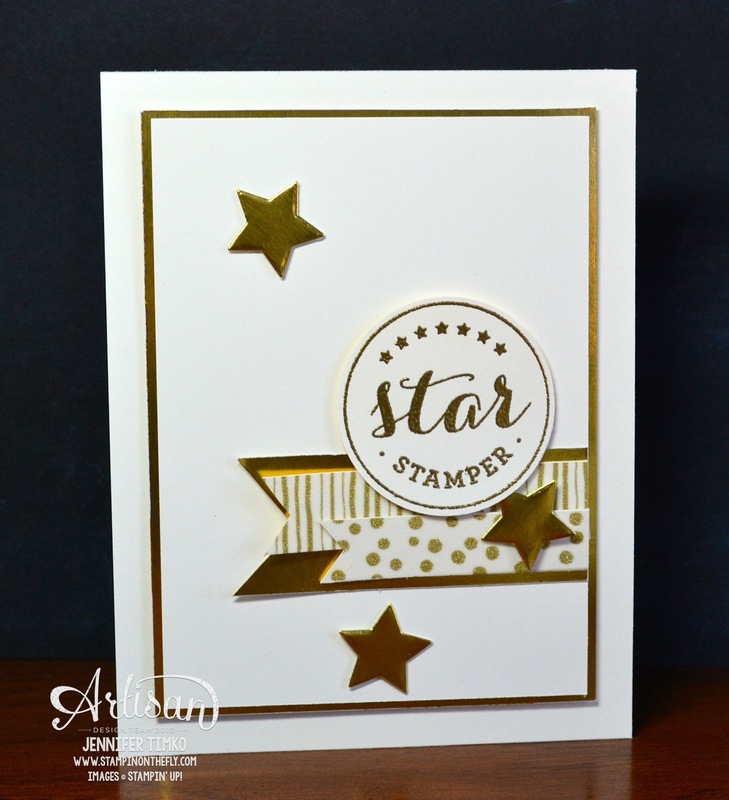 Another card using a Leadership stamp set and this one is called Star Stamper. I fell in love immediately and knew I had to use the “star stamper” image. I had so much fun playing with all the gold on this one. I started by using Gold Encore Ink and embossing it. Then I pulled out the Watercolor Wonder Washi Tapes and the Gold Foil. Of course I needed a star so I found one in my Circle Card Thinlits Dies. 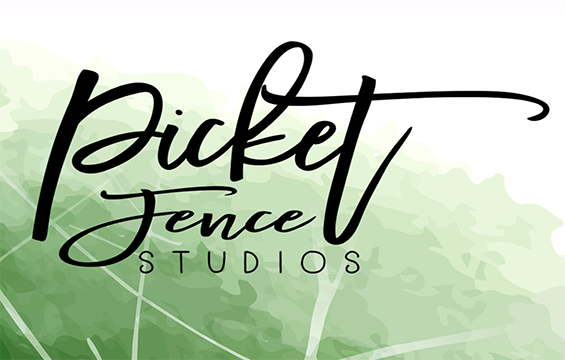 All it took was some quick snips to make the banner ends and a bit of some layering. Everything is stamped on Very Vanilla and I did layer the washi tape onto card stock before adding them to the card. I was super happy with how this turned out. I do love a play on words! Short and sweet for today. I just finished the most wonderful visit with the lovely Rita Wright while I was on a layover so I ate into some blogging time. SOOOO worth it since she is just as fabulous in person as she is talented! I’ll be back on Monday with some more from Leadership. So glad you stopped by today. Don’t forget to leave your comment for blog candy on Tuesday’s post!! See you Monday! So what is one of the best decisions you have ever made?? 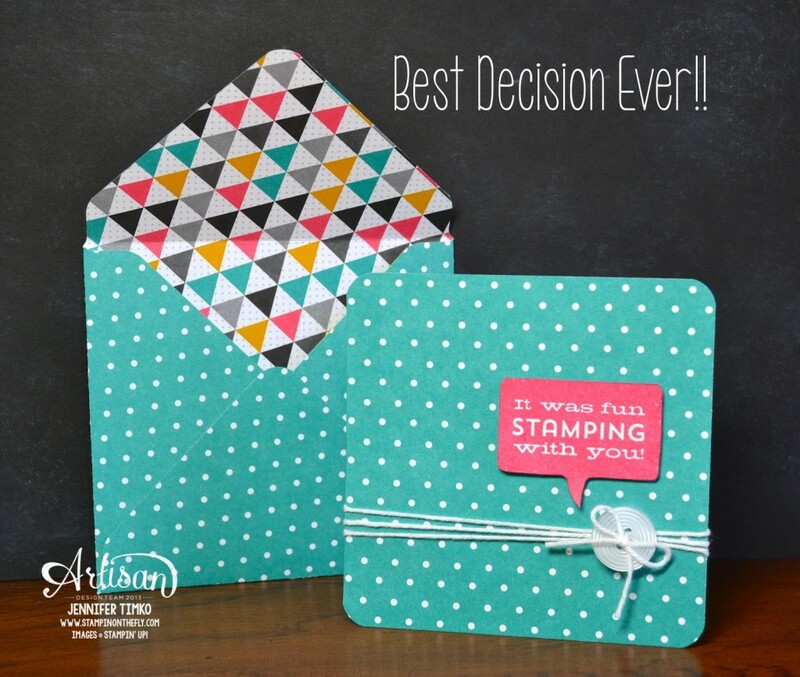 I can say without reservations that becoming a Stampin’ Up demonstrator was one of mine. Why? The people! Ok, the products are amazing, the company is extraordinary, customer service is an example others should follow but the people…. That is where this decision has impacted me the most. When my dear upline Brandi planted the seed for me to become a demo, I could have never predicted where the journey would take me. My husband got me my demonstratorship as a birthday present. Yep….pretty awesome present!! If someone had told me then that I would even enter the Artisan Design Team competition, I would have laughed. That fact that I actually BECAME one of those team members is beyond anything I could have dreamed. The friendships that I have developed with other members of my upline, with my FMS team mates, with the Stampin’ Addicts, with the Artisan Design Team, and with so many other amazing stampers are precious to me in a way that defies explanation. My life is more blessed because I took that step to become a demonstrator! So when we got this stamp set called Best Decision Ever for the Leadership Display Boards, I fell in love. I fell in love with everything behind that stamp! I wanted to created a really cute card that reflects the fun in stamping with friends and I hope I did it here. This one meant a lot to me! 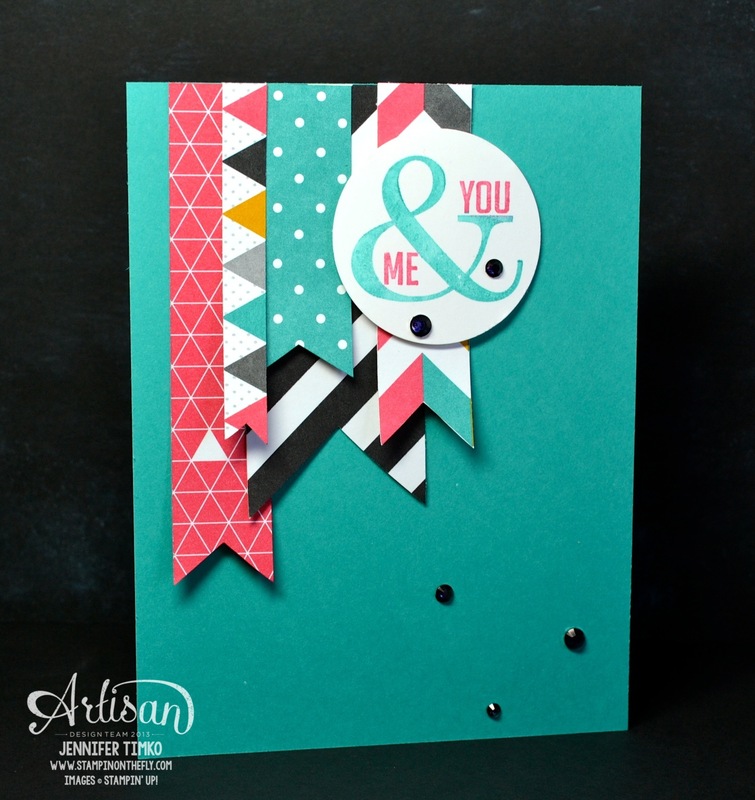 Using this fun paper from Kaleidescope DSP I created a square 4-1/4″ card (use Whisper White as the base underneath). Then stamp this fun sentiment in Strawberry Slush. I cut it by hand before the Word Bubbles Framelits were available but those would make the card even faster. Tie on a button with some White Baker’s Twine and done. But really, this needed a special envelope don’t you think? Yeah, me too. So I made one with the same DSP using the Envelope Punch Board. The rounded corners on the card are from the Punch Board too. This set is an incentive set available as a demonstrator. This card is fun to use if you already are a demo (and you already know what I mean about becoming a demo). If you are not, consider it. Really. It is a decision that might be one of your best ever too! I realized that I hadn’t shown you any of my scrapbook pages made for the Leadership Display Board and thought that would be a fun way to end the week. I’ll start with a little background. My boys are Lego boys…all three of them!! Sometimes I feel as if the Legos will take over the house but they love playing and creating and building, so I accept it and move along. Since the day it opened the boys have been talking about Legoland Florida and have wanted to go there. When we took our vacation in October, we were finally able to go. They were crazy, ecstatically, ridiculously happy!! Thus this page. The primary colors from the Legoland sign and the red in the boys shirts told me what colors to use for this. I tried to keep the feel of the page fun and kind of silly, just like the day. I used a base of Crumb Cake mounted on Real Red and started building. The triangles from Geometrical create fun arrows and the designs go so well with Polka Dot Parade DSP and the Gingham Garden Washi Tape. I created some strips from those and added them at angles then stapled to add detail. The dates were added using the Remember This Rotary Stamp. I love this stamp. 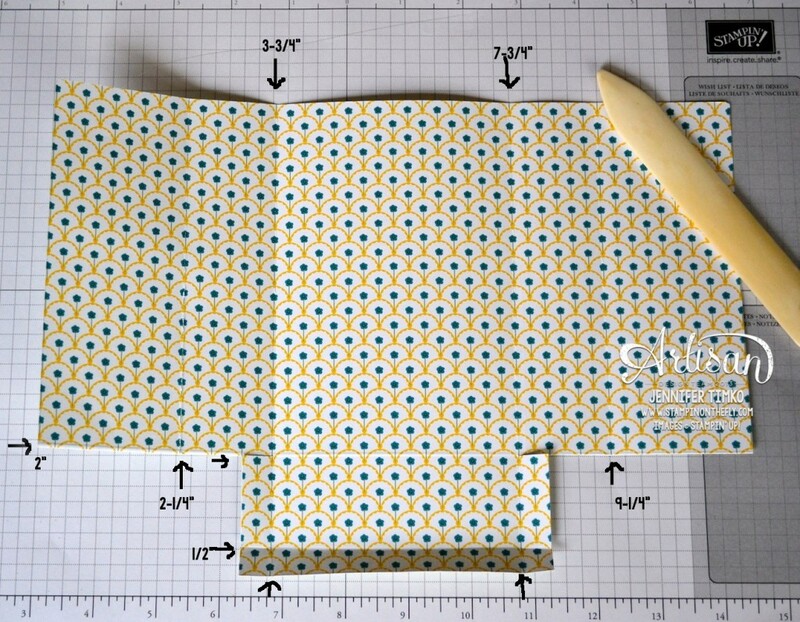 So great for so many scrapping projects! The little arrow from Hung Up Cute Clips makes sure the date gets emphasis. Finally the sentiment from See Ya’ Later captured the feeling! I had to send this one off of course but made duplicate pictures so I can build a series of matching pages from all the adventures of the day. I hope your week has been wonderful! Happy Valentine’s Day to you all and I will see you again on Monday. Thanks for stopping in! I have another Leadership project to share today and this one is fun to make. Need a Valentine card that isn’t too girly? This might be the one for you! Since the Occasions Catalog showed the Perfect Pennants stamp set and the Kaleidescope DSP on the same page, it seemed natural to pair them up for a card. I started with a Bermuda Bay card base then cut different sized pennants out of the DSP. I just used the size of each print to decide the size. The sentiment was inked with Stampin’ Write Markers in Bermuda Bay and Strawberry Slush. I punched it out with my circle punch (1-3/8″ I think but I forgot to write it down). After layering all the pennants and attaching the circle with a Dimensional, I still felt like something was missing. So, out came the Basic Rhinestones and a Sharpie marker. The little gems added the touch I wanted. 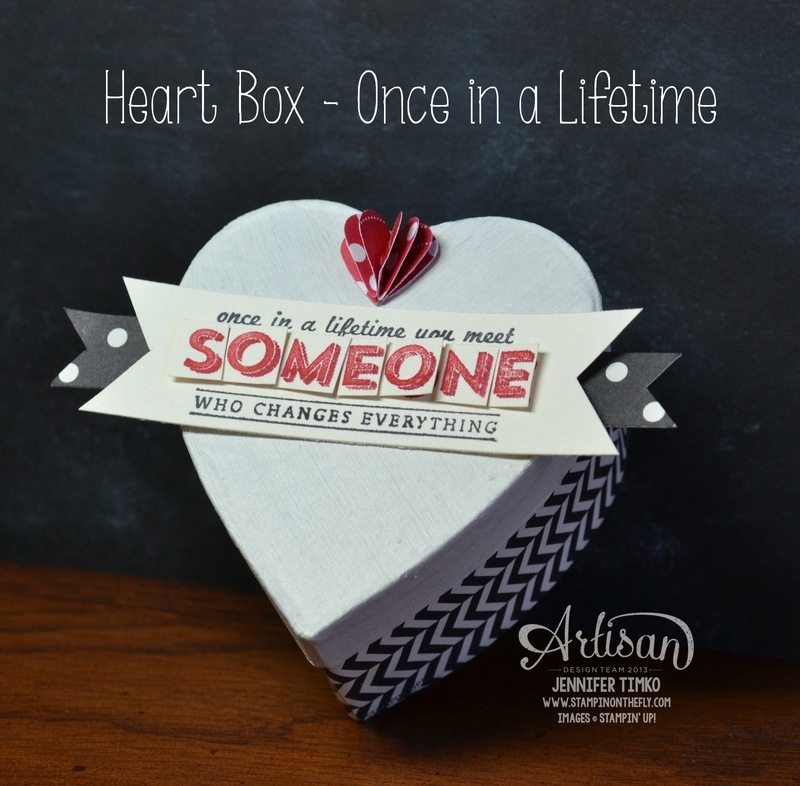 Tomorrow is the day for our next Artisan Wednesday Wow hop and I have another non-traditional Valentine for you. Until then, I hope your day is fantastic! Sorry that I missed my promised post yesterday. Between reserve with United and snow/ice days for the boys, things have been a little crazy. But in a good way…. In any case, here is a little Valentine’s project that is quick to make and so sweet to hold a special treat. I found this little paper mache box at a craft store and thought it would be perfect for this sentiment from See Ya’ Later. I painted the top with an acrylic paint (Vanilla) and covered the bottom of the box with this fun print from Modern Medley DSP (I used Multipurpose Adhesive to seal it down. Using the Small Heart Punch, I popped out a couple of hearts from the Real Red print in Polka Dot Parade DSP, folded them in half, glued the sides together and fanned. Cute accent that is easy to make! I stamped the sentiment on Very Vanilla and created the banner then stamped again in Real Red. Cutting the letters individually is a fun and easy way to add texture. Another little banner underneath and done! Quick post today since I’m out to fly tomorrow. I’ll try to be back on Monday (hotel internets allowing) and back for sure on Tuesday with the next project from our Artisan Wednesday Wow series. Hope your weekend is fantastic! !